Do away with the Death Penalty? On the dais of the District Court at Ratnagiri, one will find the statue of Late Shri Mancharje Pestanji Khareghat, who served in that Court as District Judge from 1895 to 1900 and again from 1904 to 1910. During his time the death sentence could only be awarded by a judge of the High Court. When Shri Khareghat was offered an elevation to the High Court, he declined on the ground that he could not, and would never be, a party to the death sentence. It is for this reason that the Ld. District Court Judge is still well known among Judges and senior members of the Bar. The international disfavor towards the death penalty is reflected in several international treaties and resolutions that advocate its abolition. However, it appears that India’s stance regarding retention of the death penalty is contrary to the international trend. The death penalty is prevalent in India and is usually justified on the ground that it is used only in the ‘rarest of rare’ cases. Although the debate over the whether capital punishment has any place in a civilized society, is a longstanding one, the root of the debate lies in the issue of whether the Indian justice system aims at rehabilitation or retribution. Advocates of the death penalty argue that society need not be burdened with maintaining criminals who are not only incorrigible but also dangerous to society. Such criminals are considered a threat to society and maintaining them is considered a waste of resources. The death penalty also acts substitute for private vengeance. For example, if a murderer is not punished it is very likely that the relatives of the victim would kill the murderer themselves, resulting in a vicious chain of crimes. On the other hand, apart from the fairly obvious humanitarian reasons, abolitionists denounce capital punishment since it does not even serve its deterrent object. In some states in USA, where the death penalty has been abolished, the rate of serious crimes is actually fewer than that of other states where death penalty is still prevalent. Even though the death penalty may be imposed only in the ‘rarest of rare’ cases and where the guilty has been proved not only ‘beyond reasonable doubt’, but ‘beyond a shadow of a doubt’, our laws of evidence and procedure is not fool proof, and there is always a chance of judicial errors which may not be apparent at the time of imposing the sentence. Section 354(3) of the Criminal Procedure Code (CrPC), requires a judge to give "special reasons" for awarding death sentences. In Bachan Singh v. State of Punjab [AIR 1980 SC 898], the Supreme Court upheld considered the constitutional validity of the death penalty in India by a four-to-one majority verdict. It was in that case that the "rarest of rare" doctrine was propounded. In several subsequent decisions the Supreme Court refused to impose the capital punishment in murder cases on the ground that these did not fall within the category of "rarest of rare." In Santosh Kumar Satishbhushan Bariyar v. State of Maharashtra [(2009) 6 SCC 498.] Supreme Court observed that before imposing the death penalty the prosecution is required to show by leading evidence that there is no possibility of rehabilitation of the accused and that life imprisonment will serve no purpose. This decision was welcomed by abolitionists. Justice William Brennan, former U.S. Supreme Court Justice once said that “With respect to the death penalty, I believe that a majority of the Supreme Court will one day accept that when the state punishes with death, it denies the humanity and dignity of the victim and transgresses the prohibition against cruel and unusual punishment. That day will be a great day for our country, for it will be a great day for our Constitution.” Justice Brennan was referring to the United States, the US Supreme Court and the US Constitution. 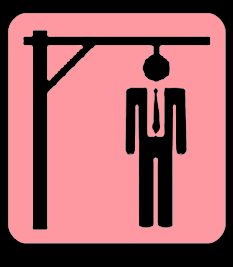 The author believes that even the Supreme Court of India and/or the Legislature will eventually do away with the death penalty, but in the long run, it is more necessary that the public in general also recognize the death sentence as a primitive form of punishment, which has no place in a civilized society. After all, death penalty is not so much a legal or a constitutional issue, as much as it is a sociological one. In the author’s opinion, it is the President of India who is more powerful than any Judge or law-maker. The President of India, and to a limited extent even a Governor, is vested with the discretionary power to pardon, suspend, remit or commute sentences of any person convicted of any offence. Once, the Courts have awarded the death penalty, the last resort of the convicted is to apply for pardon to the President. Thus, in the Indian context, a merciful President is highly desirable, until such a time comes when we can do away with the hangman’s noose for good.